$150,000 OWNER RENTS 2018 ... 10% RETURN! STUNNING OCEANFRONT HOME IN THE VILLAGE IN DUNERIDGE ESTATES! LOCATED DIRECTLY ACROSS FROM THE OUTER BANKS MALL AT THE END OF MALL DRIVE ... CLOSE TO RESTAURANTS, JOCKEYS RIDGE AND ALL KINDS OF FUN THINGS TO DO, AND YOURE IN THE VILLAGE! * HOME FEATURES A HUGE GREAT ROOM AREA WITH VERY HIGH CEILINGS *** SEE PHOTOS AS THEY TELL THE STORY! *** LEVEL 3 FEATURES SPACIOUS DINING AREA SEATING 12 AT THE TABLE AND 4 MORE AT THE BREAKFAST BAR * GREAT SET UP IN THE KITCHEN WITH PANTRY * OH, I ALMOST FORGOT ... THE FIRST THING YOU WILL SEE AS YOU ENTER THIS HOME IS THE MAGNIFICENT 2 STORY FOYER - ABSOLUTELY GORGEOUS! LIVING ROOM AREA IS FABULOUS WITH LARGE FLAT SCREEN * 2 MASTER BEDROOMS WITH JETTED TUBS OCEANFRONT AND SOUNDSIDE VIEWS! LEVEL 2 FEATURES A VERY LARGE DEN/MEDIA ROOM WITH MINI KITCHEN & DESK - OCEANFRONT VIEWS! 4 MORE BEDROOMS ON THIS LEVEL AND LAUNDRY * LEVEL 1 FEATURES SO MUCH - CHECK IT OUT! THE MAIN AREA IS THE GAME ROOM WITH POOL TABLE, 2 MORE BEDROOMS, FULL BATH, FANTASTIC LARGE SAUNA! SEPARATE ROOM WITH FULL SIZE REFRIGERATOR, DOOR TO GARAGE - WALLS HAVE BEEN PAINTED WITH A BEAUTIFUL OCEAN SCENE WITH SEAGULLS ON THE WALLS, AND WITH PING PONG TABLE, AND 3 LARGE STORAGE ROOMS - ONE INCLUDES 2 WATER HEATERS, ANOTHER IS FOR OWNER TOOLS, AND THE THIRD IS THE POOL PUMP HOUSE *** HOME HAS A FABULOUS EXTERIOR WITH RECENT EXTERIOR PAINT AND NEW STEP TREADS ON FRONT STARS AND IT ALL LOOKS GREAT! 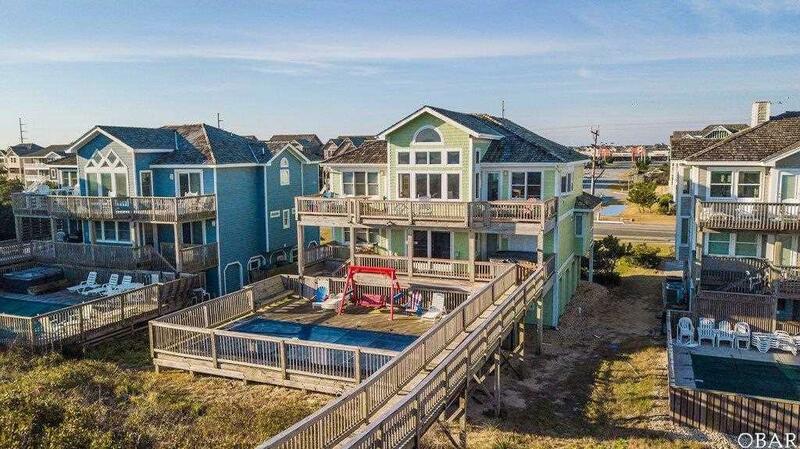 THE OCEANSIDE OF THE HOME FEATURES EXPANSIVE SUN DECKS W/ AMAZING OCEAN VIEWS * HOT TUB ON DECK WITH OCEAN VIEWS * LARGE POOL DECK WITH HALF IN GROUND/HALF ABOVE GROUND PRIVATE POOL ... I SAVED THE BEST FOR LAST ... DON'T MISS SEEING THE MOST AMAZING DUNE TOP GAZEBO WITH FULL ROOF FOR SHADE AND LOUNGING EVEN IN THE MID-DAY SUN WITH PANORAMIC OCEAN VIEWS ... OR ENJOY SPENDING TIME WITH FRIENDS AND FAMILY FOR DRINKS AND RELAXING IN THE EVENINGS ... LIFE DOESNT GET MUCH BETTER THAN THIS! YOU WILL ABSOLUTELY LOVE THIS HOME! RENTAL AD START: Imagine yourself watching the morning sun rise above the beautiful Atlantic Ocean, your family enjoying their day in the sun or just relaxing with an evening cocktail as the waves roll in. The gazebo is an outstanding feature for this home & one your family is sure to love. 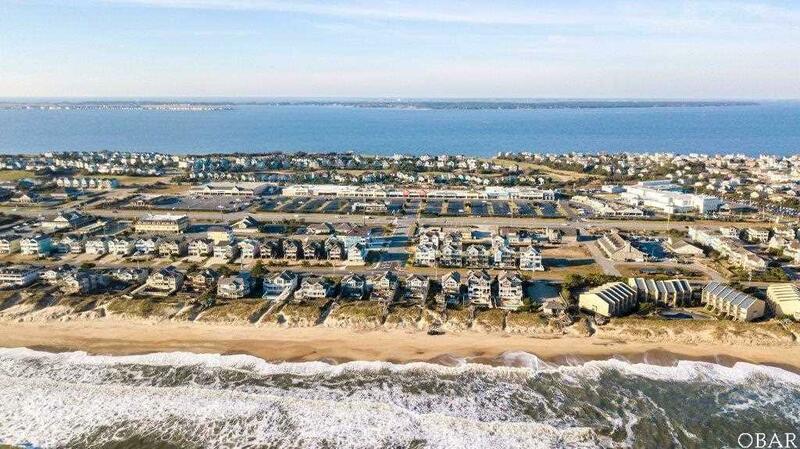 Ocean Front-Village at Nags Head. 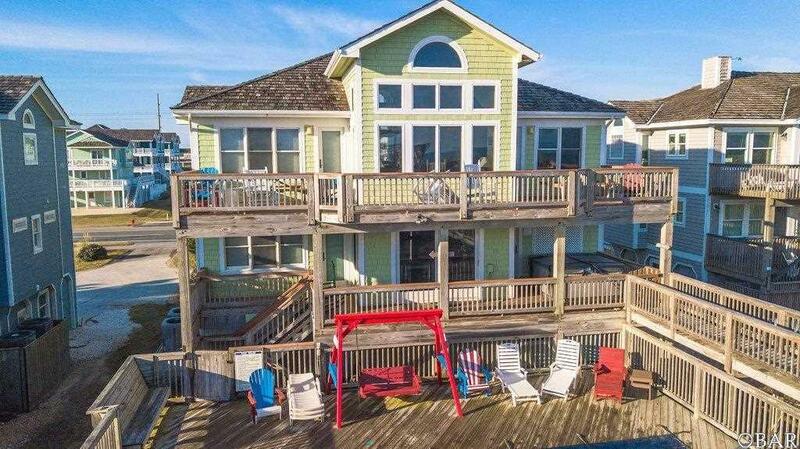 This captivating Nags Head Oceanfront home is luxuriously appointed & beautifully decorated in true Outer Banks fashion. 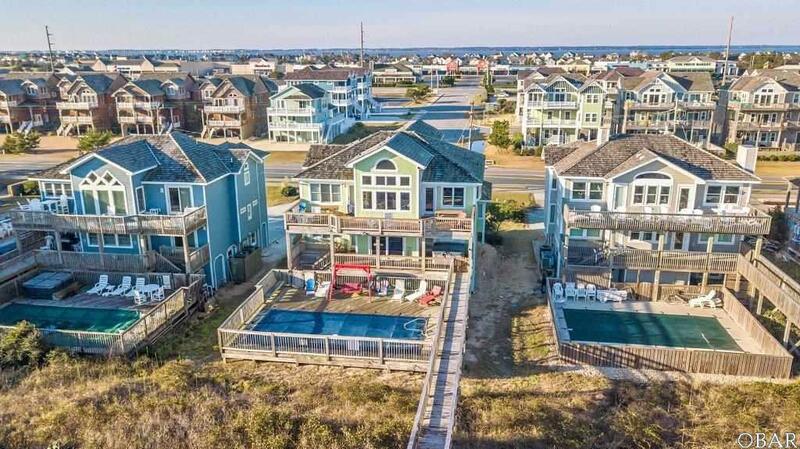 Offering unparalleled views of the Atlantic, your family will enjoy the 3 spacious levels, ample decking, & two separate living areas that provide plenty of room for a relaxing get-a-way. Your private walkway allows easy access to the Beach where you can spend the day in the surf or soaking up some rays. The little ones are sure to enjoy splashing around in the Private Swimming Pool & if you're ready to unwind, relax in the Hot Tub while watching the waves roll in. There is a game room on the ground level that has a Pool Table & in the garage you will find Ping Pong & Air Hockey. Nothing has been overlooked in this Grand Beach Home! *** Bed Linens Provided * Game Room * Grill * Hot Tub * Multiple Jetted Tubs * Ocean Views * Pets Allowed * Pool - Private * Pool Table * Enclosed Outside Shower * Keyless Entry * Ping Pong Table * Air Hockey * Wet Bar / Mini Fridge * 2 large refrigerators * RENTAL AD END *** NEW IN PAST THREE YEARS: RANGE/OVEN, DISHWASHER, FREE STANDING ICEMAKER, DRYER, AND 12/2016 REFRIGERATOR * HOME IS SOLD FULLY FURNISHED WITH EVERYTHING YOU SEE INCLUDED (EXCEPTION WOULD BE ANY ITEMS IN OWNER CLOSETS) *** HOME IS A FANTASTIC WEEKLY VACATION RENTAL - GROSS RENTS IN $150,000 ... APPROXIMATELY 10% RETURN! *** YOU WILL WANT TO SEE THIS HOME!